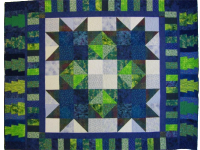 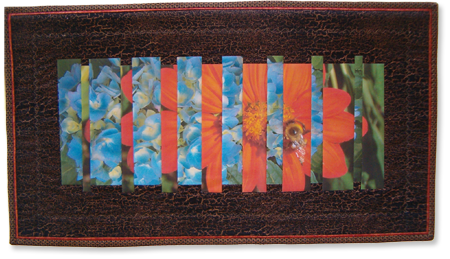 This art quilt is the result of a Narragansett Bay Quilters Assoc. 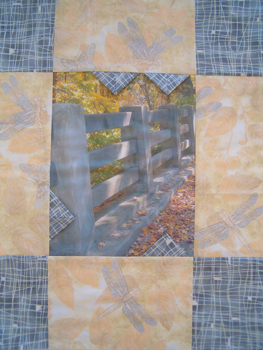 fabric challenge. 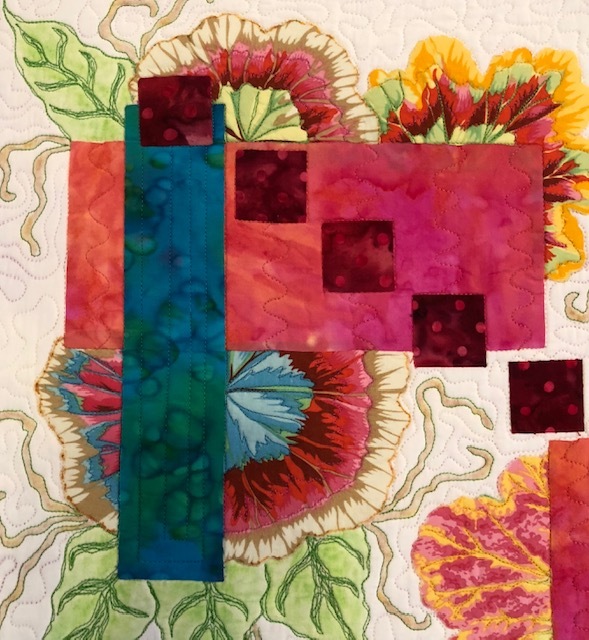 Individual flowers, cut from the gorgeous challenge fabric, peek out from behind all shapes of bright fabric boxes that dance through the quilt. 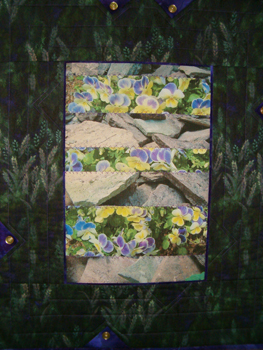 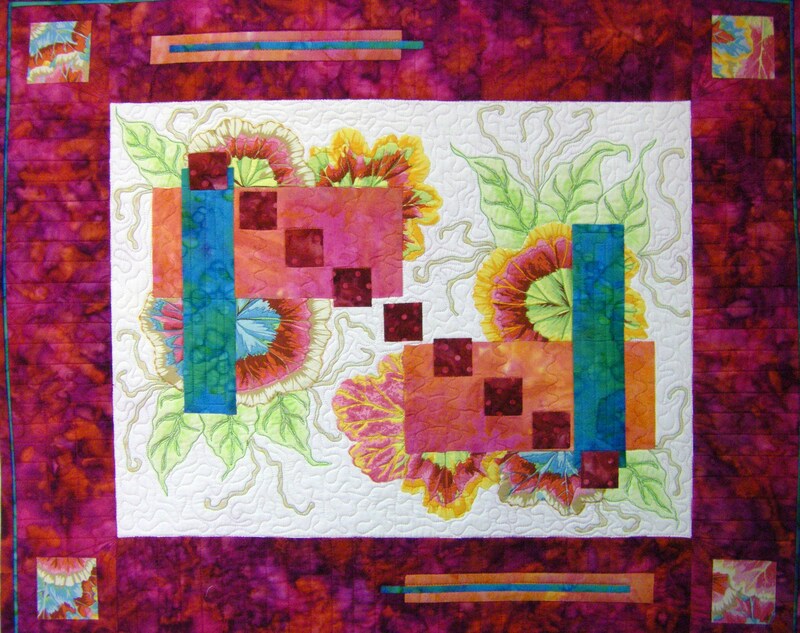 Leaves and vines are free motion quilted and then colored with crayons to enhance the flowers.